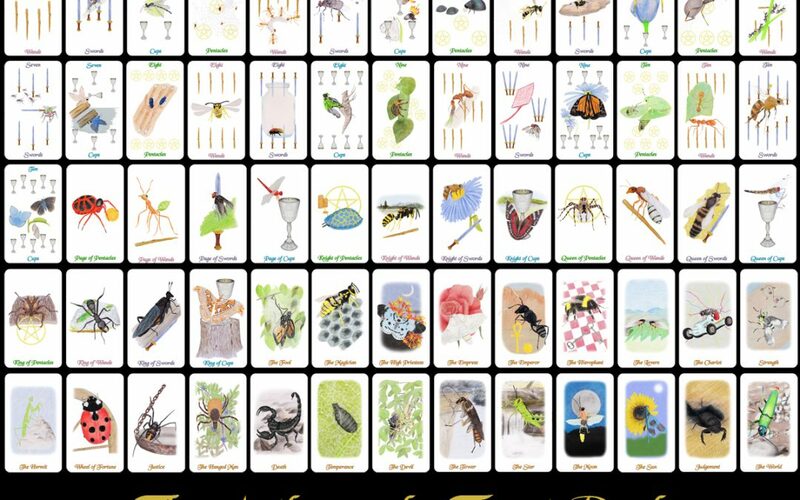 The first printing of the Arthropoda Tarot Deck is on its way here. Getting it printed took a lot longer than I’d planned but the first ones will arrive soon. The time frame the printer gave me was that they’ll arrive between July 17 – July 20. 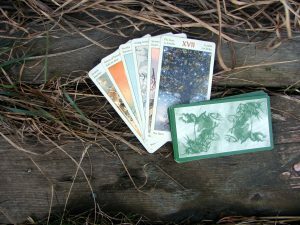 If you want one of these first Tarot decks, you’ll need to order it now. The first printing is already more than 50% sold out. If you buy them through me, via the button above, the box will be signed and I will draw something on the top of it. If you buy it through the printer you get the deck in a white box.